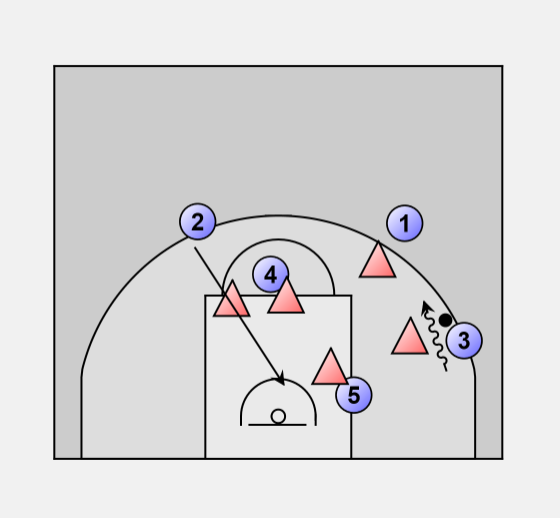 A Called option in our Zone Offense "Punch"
3 must be a strong ball handler, able and willing to draw the zone defender to her. 2 must be a confident, able shooter, willing to cut hard and hit the baseline shot. 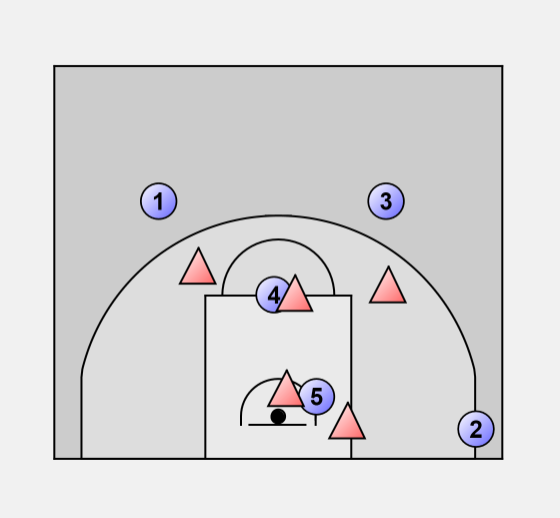 2 cuts through the key and out to the baseline, filling the spot that 3 just left. 3 can fake a pass to 1, then passes to 2, who has filled the baseline spot. 5 seals on the center defender, and releases if she fights. 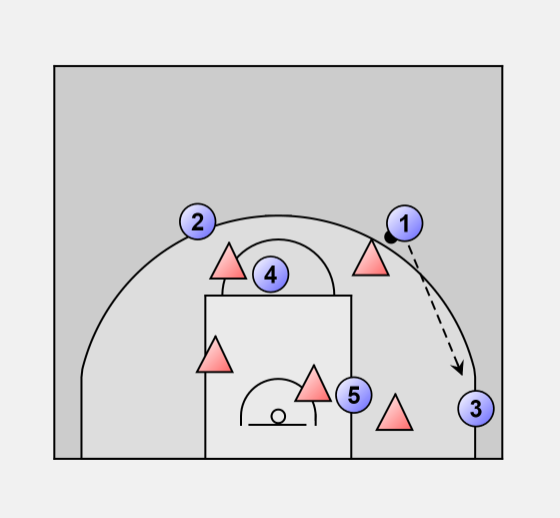 3 and 1 respond to 2's cut, filling the next open spots in the "punch" set. 5 then IMMEDIATELY LOOKS for the next girl to seal. 4 assumes there will be a shot and crashed from the top.